Avocado oil, an edible oil made from pressing the flesh of the avocado fruit, is tremendously nourishing to the body, both inside and out. Avocado oil is known for adding a delicious, nutty flavor to culinary dishes but it also has impressive health and beauty benefits. Anti-inflammatory properties: The Arthritis Foundation's website recommends avocado oil as a healthy option, partially due to its ability to lower C-reactive proteins, which are markers of inflammation in the blood. Supports heart health: Avocado oil contains healthy, monounsaturated fats (MUFAS) which, according to the American Heart Association, can help reduce cholesterol and the risk of heart attack and stroke. Relieves dry skin and psoriasis: Some people apply pure avocado oil to their skin to moisturize and relieve dryness but the oil's benefits may not stop there. According to a PubMed abstract, a vitamin B12 cream containing avocado oil showed great potential as a long term treatment for psoriasis. The cream does not have the same risks of negative side effects as many conventional psoriasis treatments. Helps prevent lines and wrinkles: Avocado facial masks are a popular spa beauty treatment but avocado oil may also help reduce the signs of aging. Animal studies show the oil helps boost collagen production. Collagen is responsible for the skin's elasticity which keeps it younger looking. As you age, your body produces less and less collagen so adding avocado oil to your beauty regimen may help slow the aging process. Moisturizes hair and scalp: Many hair treatment products contain avocado oil for good reason. The oil helps moisturize dry, damaged hair; helps repair split ends; soothes itchy, dry scalp, and leaves hair more manageable. Revitalise Your Health features instructions for preparing and using a warm avocado oil treatment and an avocado hair mask on its website. Can be used as a carrier oil: Avocado combines well with both plant-based and scented essential oils which makes it makes a great carrier oil for creating homemade beauty products, massage oils or aromatherapy preparations. Because of its levels of healthy fats, avocado oil is often compared to olive oil; however, when it comes to high heat cooking, avocado oil comes out on top. This is because unlike olive oil, avocado oil has a high smoke point which makes it ideal for frying and sauteing. It's also great in salad dressings, drizzled over vegetables or as a substitute for olive oil in many recipes. The oil has a mild flavor that goes well with many ingredients. Keep in mind that, although avocado oil is rich in healthy fats, one tablespoon contains around 14 grams of fat and 125 calories. To reap the health benefits without packing on extra pounds, use the oil in moderation when cooking. Avocado oil is a great, buttery tasting option for vegetarians who don't eat dairy but miss its creamy taste and texture. It can be substituted for butter or margarine in baked goods, blended into creamy mashed potatoes or used to top vegetables and salads. Some vegetarians struggle to get adequate nutrition in their diets. Using avocado oil is an easy way get the critical monounsaturated fats and vitamins they need. 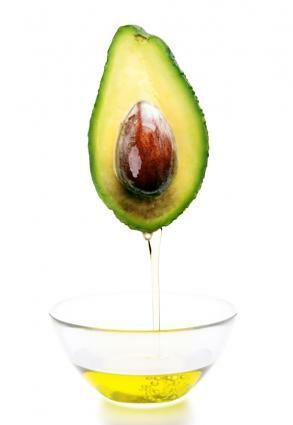 Avocado oil is a great oil for cooking, skin care and health. It's heart healthy, tasty and versatile. Of course, any ingredient has the potential to cause allergic reaction and avocado oil is no exception, especially if you are allergic to latex. When used in moderation, avocado oil can play an important role in a healthy diet and lifestyle.